DELUXE ROOM The Spacious Hotel Deluxe Room With King Size Bed Has Everything You Could Possibly Want. PREMIUM ROOM Premium Rooms Are Elegantly Designed Which Charms The Most Discerning Guest. SUITE ROOM A Spacious Bedroom And Living Room Are Adjoined In The Only Suite Offered. We were a group of 3 families who had booked here and reached before checkin time. We requested for a room to freshen up and to our surprise we were allowed to checkin early as we had kids with us. That came as welcome surprise. Room was properly cleaned and had good amenities like a mini fridge, coffee and tea maker and hair dryer. Bed was comfortable. Pool was well cleaned and we enjoyed using the services. Room service was prompt, Guys on the reception namely Yogesh, Prakash and Rajendra was very helpful. They helped us in booking bike/car for local use. The restaurant staff were accommodating and arranged for sandwiches in morning as we skipped our breakfast for sightseeing. The areas where improvement needed can be.. - Positioning of ac in premium room is not positioned to bed and takes a while to cool the room. - Taste of food was good but the quantity was less compared to restaurants outside for the price point. That was our main reason to skip it for lunch and dinner after giving it a try. Overall stay was good and we were well attended. If the above points are taken care of. It would be perfect place. I would recommend stay to the members of trip advisor. HOTEL IS NICE, NEARLY 15 MINS WALKING FROM CALANGUTE BEACH, Staff very friendly, rooms are very good, clean and with a/c and fans both with bottle of water, small fridge, complementary bottle of wine and amenities like soap, brush.. etc. They do have laundry system. Room service is excellent. Food is very good and hygenic..
Hotel is situated in the main city, near to the calangute beach. Pool area is good. Best suited for honeymoon couples. Rooms are spacious and well finished. Reasonable price for food, we enjoyed the variety of breakfast very much. Stayed here for 2 nights. Rooms were decent though a bit overpriced i feel. Bed and washroom were okay. The resort is some distance from the beach. The pool was dirty and was cleaned after i reported it to the reception and Gym was non working. Room service was only average and morning buffet requires some improvement. Second building is renovated & premium category rooms are in extermly good condition .Overall staff & services are excellent which helps to make you stay relaxed. My views on few services addition are as under. 1)Typical local goan fish thali should be incoporated in menu at reasonable pricing. 2) door mats needed at room entry. Stayed for four nights. Took two rooms. The lady at reception "Vibharti" was extremely helpful n deserves a mention. "Sakharam" an employee deserves an applause for his attitude. Overall good experience except the breakfast part where very less options were there n no taste. All in all good experience. I along with my friends visited this hotel last week. The hotel seems to be done up recently. The service was prompt. Rooms were quite neat and clean. Our package included breakfast, lunch and dinner and we enjoyed the food there. The location is very apt as its in the heart of calangute. Overall its value for money. My stay at the hotel was a nice experience. The pricing suited my budget however i wouldnt recommend it to couples and honey mooners. A lot of college and schools choose this hotel. Breakfast served was very ordinary and the staff is very laidback and not customer service oriented. The hotel has good quaint rooms with a clean bathroom, perfect for two people. The place is centrally located and easy to reach. There is also a small but clean swimming pool. The staff there are well trained and take care of your needs well. Good food! Good stay! Good connectivity! (beach, famous hangout places, shopping lanes) Good service! Special mention- a very well organised gala night on new year's eve- the entire family had an awesome time. If you are looking for a good place in Calangute then your search stops here. we were at goa 7th Feb we made reservation through Mr Manjit Heritage Holidays Delhi. our stay was very good. food was nice . good service good staff, My special Thanks to Mr Benerjee, who made our stay memorable. I will recommended to all peoples to stay at this hotel and get good hospitality. The hotel is located well, about 15 mins walk to the Calangute beach. Right on the main road which connects vegator- Anjuna - baga- Calangute and candolim beach. Location is the best point of this hotel. The premium rooms are in a newly built block, thus they are quite good and comfortable. Swimming pool is of a decent size and maintained properly. The two major major drawbacks are the hospitality (attitude of the waiters, chef and managers) and the food. They fleece you by charging 500 rs for a plastic key, incase you loose it. The fat sous chef, who doubles as a manager at times is absolutly shameless, he has no manners re talking to girls, let alone customers. The staff is the most rigid people I have come across in hospitality industry. They never accommodate to your requests, and flatly refuse along with truck loads of arrogance. The food is very very average, the breakfasts below average, they shut breakfast at 1030 on the second, if it is 1031 then you have to first ask and please the chef, only then will they think about it. I am frequent traveller and stayed at many hotels ranging from 5-3 stars, however this one stands out for all the wrong reasons. So I suggest, people beware, choose this hotel only and only as a very last resort, and incase you end up here be prepared to live by their rules only. And DONOT engage with the staff in anyway, nor make any requests. Room Tip: Pick only premium or suite rooms, as they are located in the newly built section of the hotel. Hotel Calangute Towers situated at very near distance from Baga and Calangute beach. The staffs were nice and food was also good. The rooms were very clean. Better than expectation hotel at very cheap price. It was overall nice experience to stay at HCT. I have booked hotel through goibibo and got good discount also. Location of this hotel is very good, one can find out market, restaurant etc. near by this hotel, also breakfast provide was good.Thank you HCT to make my trip memorable. Good location centrally located at Calangute. Value for Money. please try for new building thats good than old one. Very hospitable staff. Good swimming pool and the complimentary breakfast is good. Very close to Calangute and Baga beaches, Casino Palms, KFC Dominos are very near. Food here is also good. Dear All, I would like to thanks, to the staff and the faculty member of Hotel Calangute Tower (Goa) for making our stay excellent in their hotel for four nights. Special thanks to Mr. Deepak (FOA), Ajit (FNB) who helped us a lot for making this stay comfortable with outstanding experience. The most best thing about this hotel is that it is centrally located in the city, easy to excess and near to all beaches, as in calangute and baga beach. and the services along with the food is excellent. I had travelled to this hotel along with 70 students (Doctors). And every single person in the group was happy with the sevices of the hotel. In the end, I would like to say that this hotel would make your stay more comfortable and nice experience. And must try for all. with experiencing the most remarkable staff services. Regards Dikshit Chauhan +91 7696871725 Room Tip: Very nice room with good view. 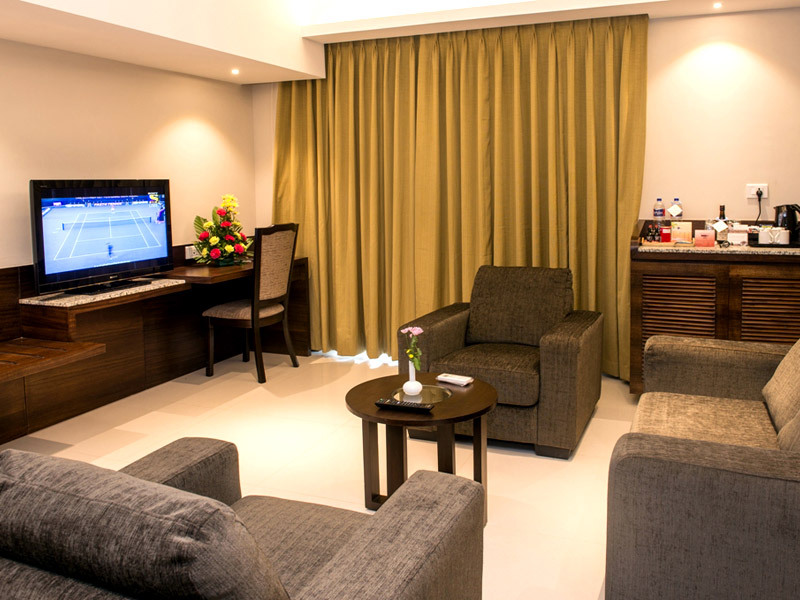 AvinashRaj Hyderabad, India 1 review “Excellent” 4 of 5 starsReviewed 27 January 2015 Good value for money. Very hospitable staff. Good swimming pool and the complimentary breakfast is good. Very close to Calangute and Baga beaches, Casino Palms, KFC Dominos are very near. Food here is also good. I stayed there for 3 nights and it was memorable. I have no complaints. Stayed in a premium room. It is top class i would say. I would definitely recommend it to anyone. However the check out time is 11 AM which made my plans to be altered at last moment. Make a note of this and plan accordingly. Room Tip: Premium rooms with balcony are awesome. Excellent overall service. Nice food, Good entertainment programmes, Good transportation service. One suggestion: Check In time should be from 10 am as trains from outside states would generally comes early morning @Goa. “BEST HOTEL AT GREAT PRICE” 5 of 5 stars Reviewed Nice Hotel, Polite Staff, Good Service, Near To The Market And Beach. Good facilities.Have a sweet and small swimming pool. Nice Gymnasium. Have a good sitting area and a good restaurant. Open area is also very good. Nice Hotel, Polite Staff, Good Service, Near To The Market And Beach. Good facilities.Have a sweet and small swimming pool. Nice Gymnasium. Have a good sitting area and a good restaurant. Open area is also very good. Very clean rooms and Excellent food with all needed facilities. Very friendly and helpful staff. Reasonable rates. We had a wonderful stay at this hotel. I would definitely go back to this hotel if I visit Goa again. Excellent hotel ! We stayed at this hotel for 3 days..Amazing place, great location, superb service, smiling and cooperative staff espcially Mr Deepak,Mr Satish Chief Saket cleanliness is top notch..! Beach is just outside of the property.. Had really great experience. Will definitely recommend for everyone who will be travelling to "GOA". Umesh Lives in Udaipur "Worth stay with good service"
Kaushal raj Lives in Mumbai 1 Review "Co-operative staffs with good restaurant"
Stayed September 2013, travelled with family Booked this hotel during the make my trip promotions and got to stay at the hotel at otherwise out of our budget. Excellent location. KFC is bang opposite. The Hotel Calangute Towers has its own Curry leaf restaurant which offer good Goan and Indian fare. Walking distance to Calangute beach, bus-stand and other locations. The staff is courteous can do better. The price one pays is the for the strategic location right on the main road. All other eats outs are walking distance one can have a blast without having to go too far. The road is well lit at night too and has moving traffic, very safe at night too. Room Tip: Rooms from 1st floor are better. It was my great pleasure to stay at Hote l Calangute Towers,Calangute Goa. hotel staff was nice & polite, management was ready to solve each problem, food wad healthy & tasty, pick-up & drop service was good & on time, management of local site seeing was best, room service was good & on time. Deepesh Lives in Mumbai, "Fair experience "
Posted Apr 12, 2013 Hotel staff is very coopetative. Food quality is very good. Room sizes are very small. Best Experience: Cooperative staff. Worst Experience: Not as such. Chattar singh Lives in Delhi "Hotel staff is very coopetative"
Dilip chodrry "Good atmosphere in hotel"
Hotel Review of Hotel Calangute Towers Comments: its worst,good and very good too. Best Experience: the rooms and the coffee shop was too good. Worst Experience: waiting at the reception,it took 4 hours waiting,their check in time is 14.00 hrs,its better you keep your check-in time little early.so that the customer cant wait for more time,because we booked 5 rooms from 30th dec 2012 to 2nd jan 2013. Hotel Review of Calangute Towers Comments: We would like to thank god for our splendid holiday to Goa. I just wanted to add that the service we have received from The Calangute Tower has been first class, from the very first call to now!! We will be recommending you! City's Major Attraction is beaches and old goa church's. Best Experience: Excellent food and service. just to say we had a lovely week in the Hotel.its ideally located. The weather was also kind to us. Hope to be able to come back some day. Worst Experience: Nothing was worst. Hotel Review of Calangute Towers Comments: the hotel is very freindly and helpfull to customer. but it can be improved. rooms can be improved and can be given much freshness feel. Best Experience: food and music show Worst Experience: view from hotel- totally zero andnobody want to spend that much amount for that kind of rooms... better stay in beach resort. no sea view. only one room that you can viw the swimming pool which is of no use. Prashant009 Ghaziabad, Uttar Pradesh, India..
Great Hotel, situated in the heart of Baga & Calangute. Great value hotel, ideally located, committed to great service and food. A home away from home. “Nice... Location perfect” Really impressed with the hotel Calangute... its opposite Neelam Grand, just as you enter the main Calangute stretch.Huge rooms.. you literally needed glasses to watch the TV from the bed. Comfy bed, super chilling AC. Nice bathroom, really hot water all the time. “good hotel” Reviewed 27 September 2012 NEW Best part about this hotel is the location. It is located at the junction. We had lunch at this hotel, food was quite tasty, all of us liked it very much. The service was also very good. We all liked the interior too. Overall, it was up to our expectation. “Very Pleasant Place” Reviewed June 1, 2012 Hi, I am regular Guest at Hotel Calangute Towers, Calangute Goa, since last one year. During all my visits I have experienced a warm welcome and homely treatment from everybody, right from Front Office / Reception staff to House Keeping, Room Service, Restaurant Staff, including all Senior Staffs, viz, GM / AGM / F & B Manager / Exe. Chef / Maintenance Manager, etc, in short each and every one. 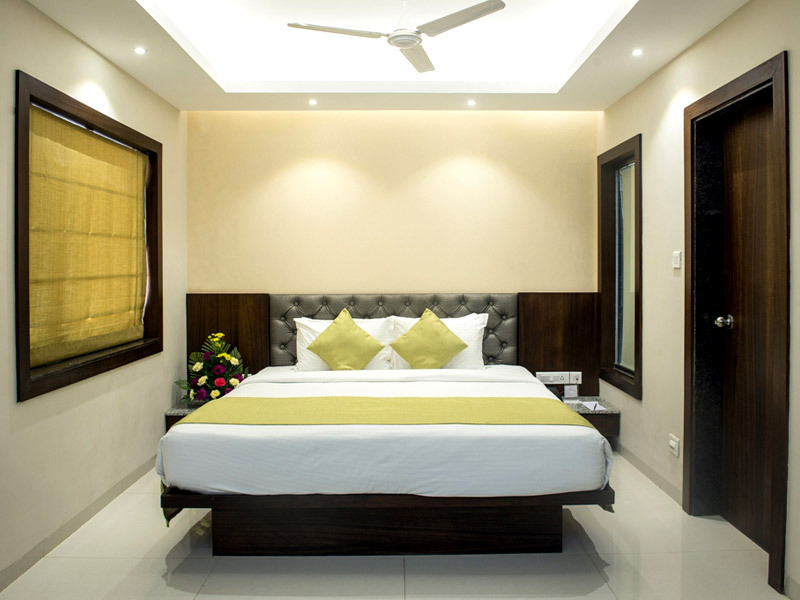 Spacious, clean and well maintained rooms gives a relaxation feeling the moment one enters in them. Newly renovated Restaurant, Curryleaf, has excellent ambiance to dine & wine with sumptuous and relishing food. AN IDEAL PLACE FOR FAMILY & FRIENDS TO RELAX AND ENJOY THEIR STAY IN CALANGUTE AND GOA. “Excellent service” Reviewed February 2, 2012 Excellent customer service was given throughout my stay with impressive service follow-up. The hotel staff maintained a focus on urgency and resolve to assist all my needs. In particular the front desk staff (Mr Chandradeep) simply motivated by his customer excellence went that extra mile. My stay has have a lasting positive impact on me and I will recommend this Hotel in Calangute Goa and its exceptional service to my global business associates! I stayed in November at this hotel right in the heart of Calangute. I was welcomed by their staff and general manager with a refreshing drink and was whisked to my room where waiting for me was a bowl of fresh fruit and cookies. The room was clean, modern and adorned with goan art. The washroom was modern with all the toilet accessories(shampoo, soap, comb, shaving kit, etc) expected from a 3/4 star hotel. Working desk, TV and closet space was ample with good quality linen and soft pillows incl. bath slippers/robe. The restaurant buffet or ala carte had a wide selection to choose from. The pool was large and clean. There was a games room and gym which was well equipped. Hotel Calangute Towers hotel is not on the Calangute beach but within a 2-3 min walk(200+m) and close to all the shopping and restaurants in the area. Value for money if you want a quiet reasonably priced and clean comfortable place to enjoy north goa. Very attentive staff and safe environment.